We are purring and praying for your mom. 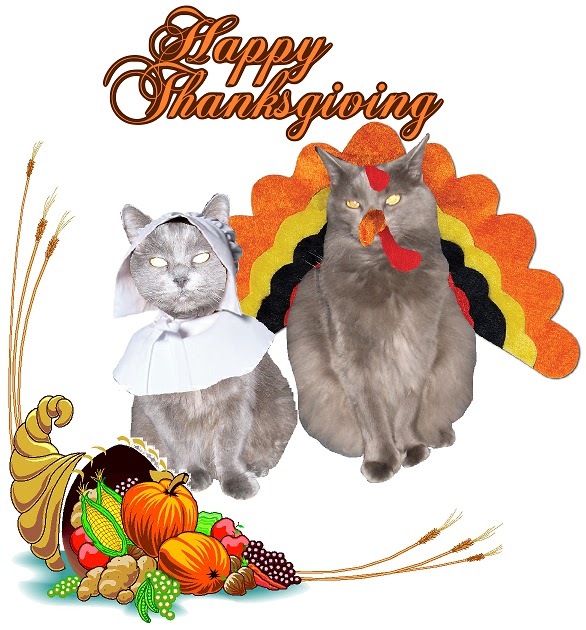 Purrs and prayers to you and your Mom from all of us. We sure hope your Mom feels better soon and we've glad Piper is trying to give it a go. 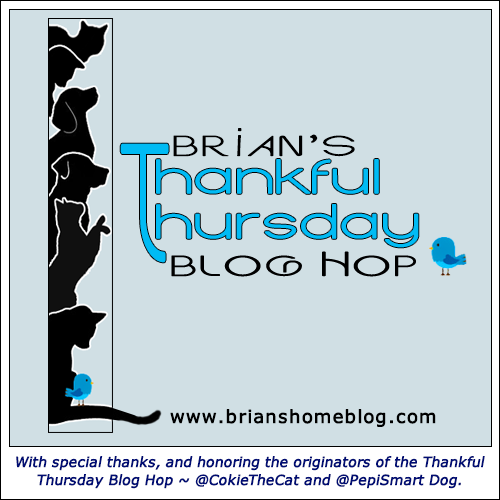 Happy Thanksgiving and thanks for joining the Thankful Thursday Blog Hop! Our thoughts, purrs and prayers are with you and your family. You have some blessings and I am glad your mum is still with you. Something to be Thankful for. The cats would be in a much worse state without Winnie's Wish. I'm sending lots of purrs to you mom - I hope she turns a corner soon on her recovery. I'm glad Piper has decided to be more social now. Have a warm Thanksgiving. If not sharing the bed is the worst it gets, everything is going to be a-okay. :) Wishing you a Happy Thanksgiving. Happy Turkey Day! Sending healing purrz to you and your mom. Purrayers & POTP for your Mom and her kitty Piper ! Sending purrs and hugs for your mother. So thankful to hear from you... and although we have been blogging, it has felt like a chore and we haven't been visiting our friends unless on Facebook. Purring for your Mom and glad that Piper is getting some attention and learning that change is not all that bad. Thanksgiving is hard at our house too, although just don't share much about it... Keeping you in my prayers. You do what you have to for the lived ones. We purr for all. Happy belated Thanksgiving, friends! We are purring and praying that your mom gets better. sending positive thoughts your mom's way.